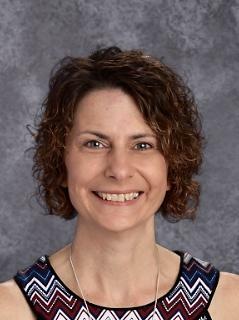 With the transition to grade level attendance centers within the Iola School District, I was given the opportunity to become the Library Media Specialist for kindergarten at McKinley Elementary and for first and second at Jefferson Elementary. Mrs. Mona Melvin, Jefferson library paraprofessional, helps to create a place where children want to be. Our library is very busy checking out over 35,000 books a year! We are fortunate to have community members, high school and ACC mentors who read to students and help shelve all those books. 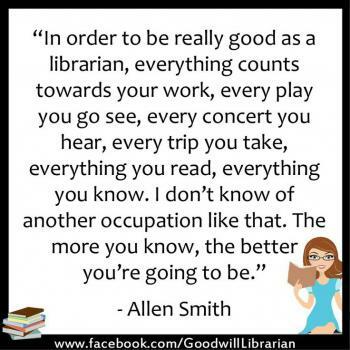 I have a range of professional duties and committees; Iola Reads, Young Authors, INEA Read Across America, Professional Development Council, Evaluation Committee. I started my teaching career at Jefferson Elementary. In August of 1995 I was hired as a Title 1 Math Teacher; that position quickly changed to include Title 1 Reading. It was here working with fellow Title 1 teacher, Sharon Whitworth, that I began my love of books and reading. In those early days of my teaching career that Title 1 funding was not a guarantee. So I decided to take a more secure teaching position in second grade. I loved every minute in second grade. Being able to watch children develop into readers and writers is what inspires me to teach. Then the Board of Education changed the boundary lines to adjust for the changing population to the north. This changed my second grade position into a floating position. After floating for two years, I decided to change to a permanent position at McKinley Elementary. After one year at McKinley, a library media position at Lincoln Elementary was available. Instilling the love of reading and of books all day, absolutely! My husband, John, and I have been married twenty-seven years. We were married in June of 1991. Shortly, thereafter, we bought a 1871 home. After many years of renovation, our home was finally ready for children. Addy was born in 2000. She is a freshman at Allen Community College. After being a drummer for the IHS band, she is continuing to play in the band for ACC. In 2007, Briley was born. She is a fifth grader at IMS. She loves making all things fun! Hobbies? Do children count for this? I enjoy being wherever my children are. I also love trying to see many of the sights that are listed as an 8 Wonder of Kansas. A few summers ago, my family had fun trying to see grass and rocks. We saw Mushroom State Park and Rock City and saw Coronado Heights on the way. We visited the Tallgrass Prairie National Park. To continue our prairie grass and rocks quest we attempted to visit all the places that Laura Ingalls Wilder lived in the Midwest. We made it to every sight except Mansfield, Missouri but we plan to visit there in the future.